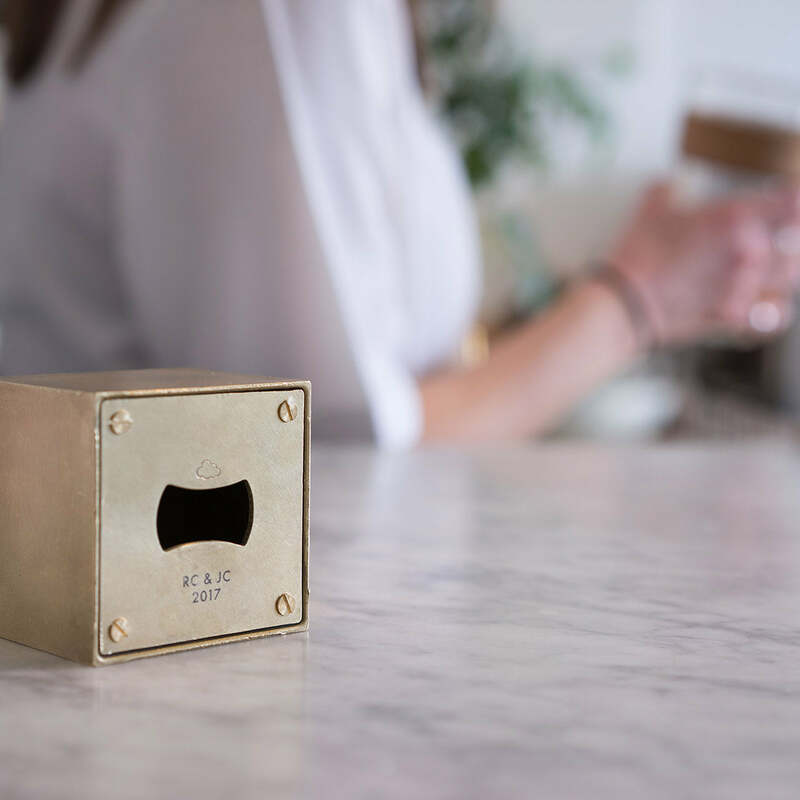 A cast brass desktop monolith that also opens bottles. Each Bloc is hand stamped with the Richard Clarkson Studio logo and has the option of adding a laser engraved message. The aperture is precision cut on the underside of Bloc to optimize opening leverage. Bloc has been specifically designed to be proudly on display on your desk, kitchen counter, bar or window sill. Its minimal cubic form and simple brass finish compliment a wide variety of contexts and color pallets. We have custom laser engraving available as an add-on for this product, we permanently etch text or logos directly into the brass, whether it’s for you or as a gift. See more at the link below. At roughly 15oz Bloc is substantial in the hand, its weight and shape make it a wonderful statement piece.